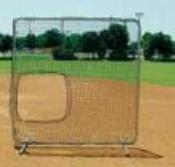 Softball pitcher protector replacement net; 7'x7' pillow case style. 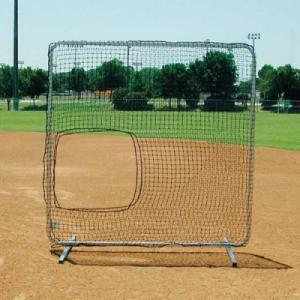 Replacement 7' x 7' Slip-On net for Softball Pitcher Protector. Pillowcase-style double #36 polyethylene net with hole cutout for softball delivery.